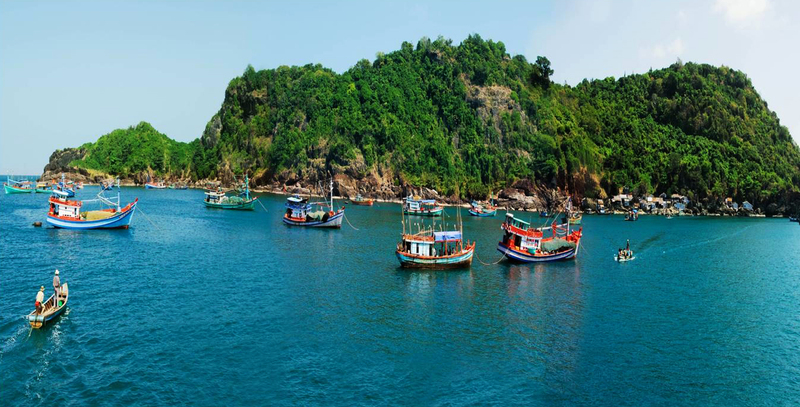 Sail through the mangrove forest, observe many species of birds, swim on the sandy beaches, explore pristine offshore islands, and check in at the southernmost point of Vietnam. 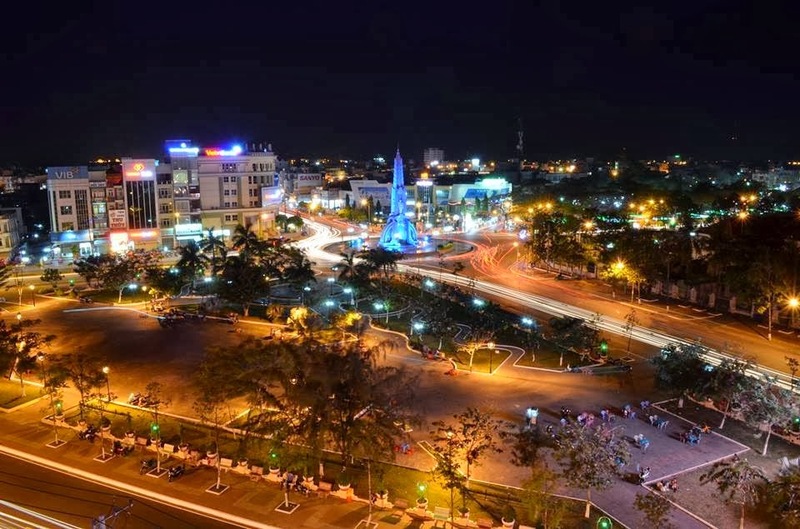 All these interesting experience are in Ca Mau, the last province of Vietnam. Located in the Mekong Delta, Ca Mau is the southernmost province of Vietnam. 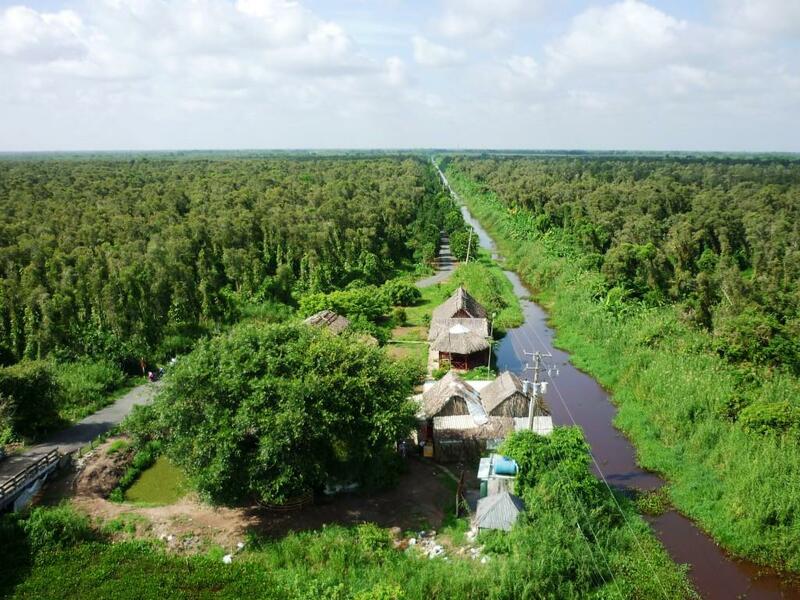 Ca Mau has a natural area of 5,211 square kilometers, with three main sides bordering the sea. This land is just newly exploited, having remained untouched for over 300 years. In the past, the Khmer named this land “Tuk Kha-mau” which means black water. After many years, this name transformed into Ca Mau in Vietnamese. The color of the water in this land is black because melaleuca leaves of U Minh melaleuca forest have fallen into the water and colored it. Like other provinces in the Mekong Delta, Ca Mau also has two seasons. The rainy season is from May to November and the dry season is from December to April. Read my article about the Best Time to Visit the Mekong Delta to truly understand the climate of Ca Mau and know what to prepare for each season. Ca Mau is a developed city so you can get there via many forms of transportation including plane, bus, and motorbike. 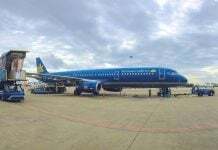 There is only one flight operated by Vietnam Airlines from Ho Chi Minh City to Ca Mau. The departure time is 5:55 AM daily and it takes one hour to get to Ca Mau. The average price is around 77 USD per ticket. 316 kilometers away from Ho Chi Minh City, it takes around seven hours to get to Ca Mau. Because of the long distance, a sleeper bus is the main form of transportation that most people choose to travel to Ca Mau. The buses run daily at many different hours, so it’s very flexible to arrange your travel schedule. Futabus and Ngoc Anh bus are highly recommended. Besides a normal sleeper bus, Ngoc Anh also runs a high-quality bus. This bus has a private bed with a massage machine, television, headphones, and USB charging ports. The route from Ho Chi Minh City to Ca Mau is quite easy. You only need to ride along Highway 1A (QL1A) until you reach Ca Mau. 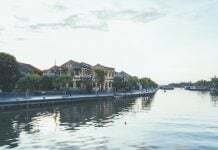 On the way, you will ride through Long An, Tien Giang, Vinh Long, Can Tho, Hau Giang, Soc Trang, and Bac Lieu, seven provinces of the Mekong Delta. There is another highway starting from Nga Bay district, Hau Giang province named Quan Lo – Phung Hiep. This is an alternative highway from Nga Bay to Ca Mau which aims to reduce the traffic volume on QL1A. You can choose this highway as well. Read my article A Comprehensive Guide to Buying and Renting Motorbikes in Saigon if you would like to have road trip through the Mekong Delta. 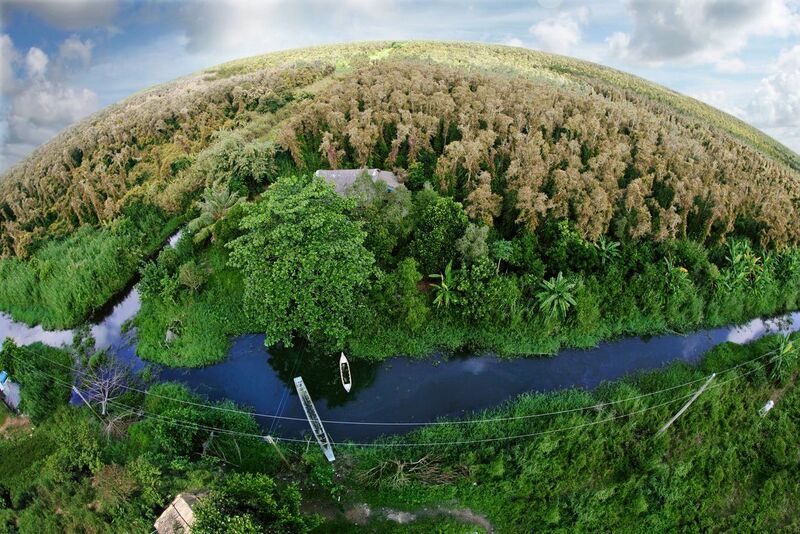 40 kilometers from Ca Mau City, U Minh Ha National Forest is one of the three core zones of Mui Ca Mau Biosphere Reserve, listed by UNESCO as a biosphere reserve of the world. This is an ecosystem area with the unique characteristics of wetlands on peat. You will find many melaleuca and vine-related plants here. There is a rich animal life with species of copper fish, python, snake, monkey, deer, boar, and more. 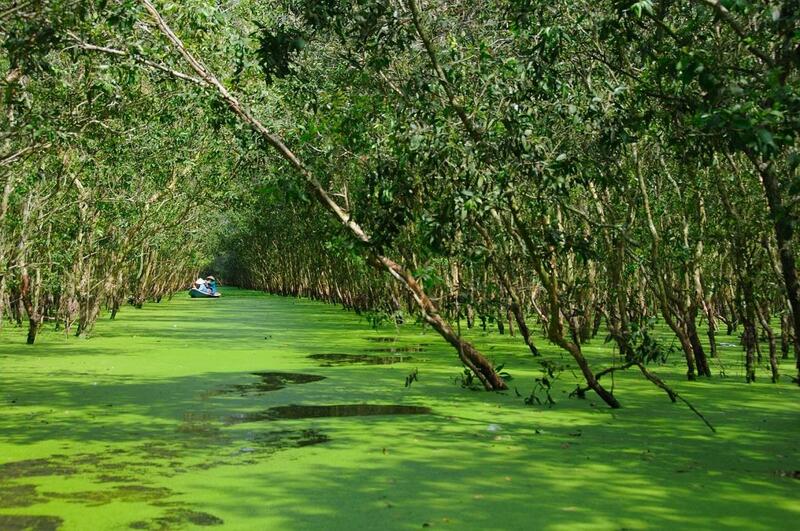 In particular, the most interesting activity in U Minh Ha is taking a boat through the mangrove forest. 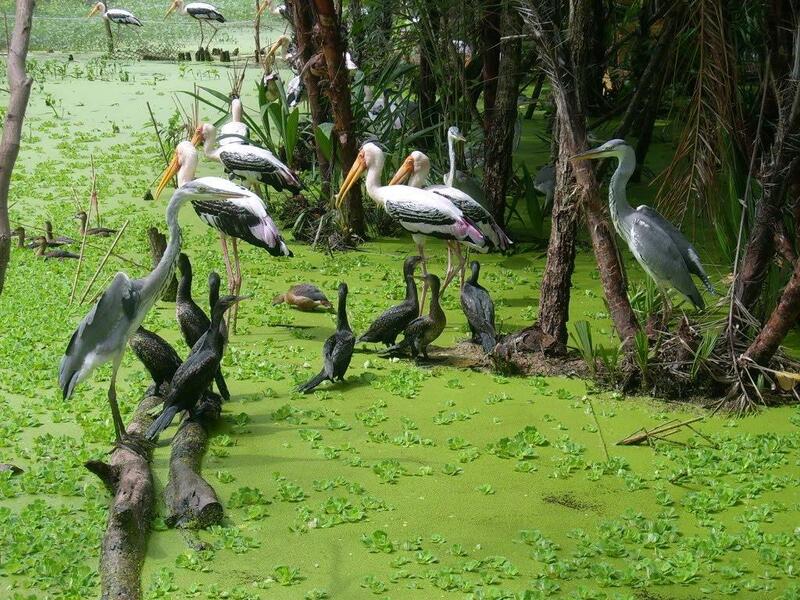 The Bird Garden is situated in Cultural Park or Lam Vien 19/5, Ca Mau city. This is a large entertainment area of 18.2 hectares with many miniatures including flower gardens, monuments, stilt houses, and fish ponds. Many animals that typically make their homes in mangrove forests such as crocodiles, turtles, monkeys, iguanas, pythons, and snakes also live here. However, many visitors only come here to see the bird garden. The birds inhabit their own home separated by a ditch from visitors. You can view these wondrous birds from six meters away, observe thousands of bird, stork, swamp chicken, crane, and more. They perch high on the mangrove trees and bamboo, then fly down and land in the ditch in front of you. Observing the bird’s activity and hearing their songs will be an interesting experience for bird lovers. This bird garden has existed for decades, protected by the local authorities. Ca Mau has a lot of offshore islands such as Hon Da Bac and Hon Khoai Islands. Despite it being a little smaller than other sea islands in the country, the scenery in Hon Da Bac Island is great. With a background of the vast blue ocean, there are countless granite rocks piled up on each other which create many strange and beautiful shapes. The local people name them based on their shapes such as fairy hand, fairy foot, and fairy well. In addition, there is President Ho Chi Minh Temple and Ong Nam Hai Mausoleum where you can find a large whale skeleton. Next, Hon Khoai Island is named after its shape, a giant potato in the middle of the ocean. Around Hon Khoai island, there are other small islands such as Hon Lon, Hon Nho, Hon Tuong, Hon Sao, and Hon Doi Moi. Hon Khoai Island is home to many wild animals such as wild boar, iguana, python, snake, etc. The system of bridges between islands helps travelers navigate this unique land. Walking along the bridge, feels as if you have entered a wonderland. Khai Long is a sandy beach that winds along the coast of Khai Long hamlet, Dat Mui commune, Ngoc Hien district. It takes around one hour by motorboat to get from Ca Mau city to Khai Long beach. 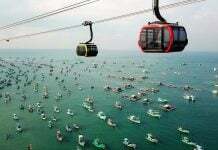 With an area of about 230 hectares, the coastline in Khai Long beach is 3,800 meters long. If you stand on Khai Long beach, you can have a full view of the majestic Hon Khoai Islands. 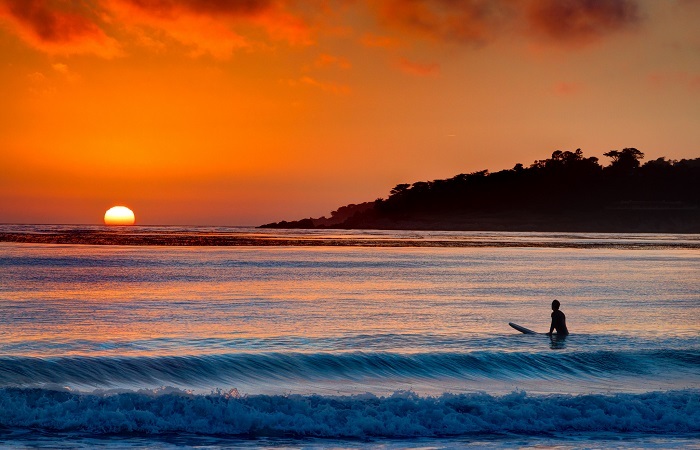 Khai Long has a flat golden sandy beach and there aren’t many waves which is suitable for swimming. Before reaching Khai Long beach, you will see a small floating market where you can buy some food and drinks. Many local houses in this area also sell fresh seafood and cook it for you. 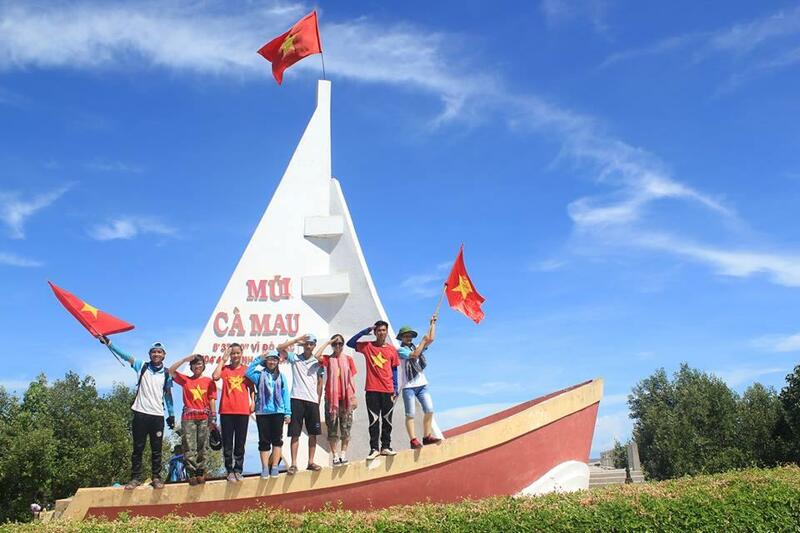 If you visit Ca Mau, Mui Ca Mau is a travel attraction you shouldn’t miss. It is the southernmost point of Vietnam. This furthermost point is the easiest to get to in Vietnam, it requires no physical strength or long trails. Therefore, it’s a great way to accomplish one of the four furthermost points of Vietnam. Read my article about The Four Furthermost Points in Vietnam to find more information about this place. 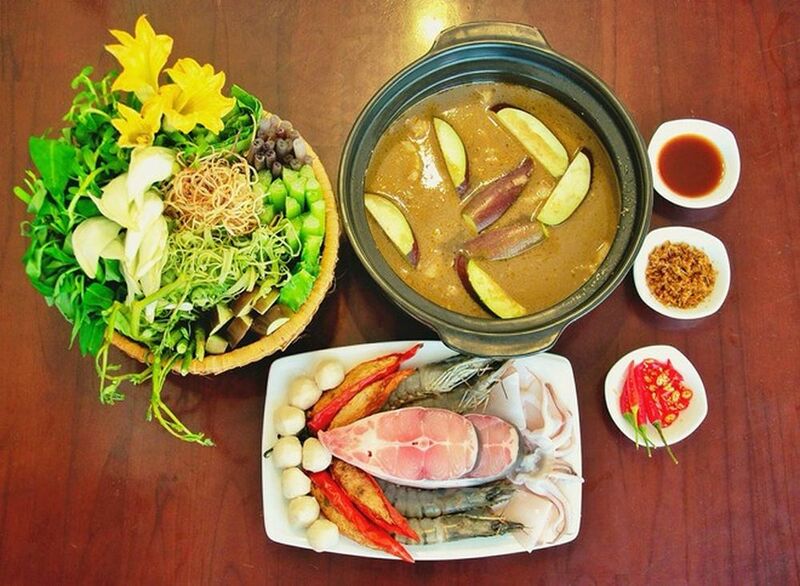 The main ingredient of U Minh hotpot is fermented snakeskin gourami. After the bones are removed and the fish is seasoned, the fermented fish is put into the hotpot to flavor the broth. Perch, snakehead, or catfish with shrimp, squid, and pork are all eaten together in one dish. You will find a plate filled with lemongrass, eggplant, morning glory, and other local vegetables alongside your steaming hotpot. When eating, place everything into the hotpot and wait for around 10 minutes until the ingredients are well-cooked. Then, it’s time to enjoy your U Minh Hotpot. Not many people dare to eat this food. However, most people that do try it say that they love it very much. I’ll walk you through how this food is made. Field mice are washed with water and drained, then marinated with minced lemongrass, chili, salt, sugar, and fish sauce. After marinating for ten minutes, the field mice are fried over a gentle heat until the mice turn yellow and crunchy, and give off a pleasant smell. 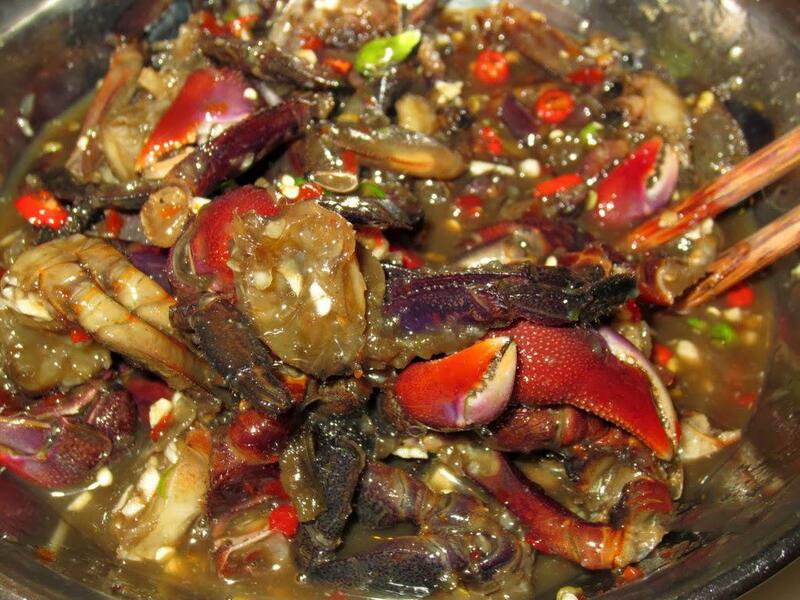 Living in the brackish water environment, ba khia in Ca Mau, or Fiddler crab, is considered the most delicious in the Mekong Delta. Ba khia often digs a burrow in a dry forest or the land of local people. Local people mainly catch ba khia at night and they always wear gloves, carry a basket, and wear a light. 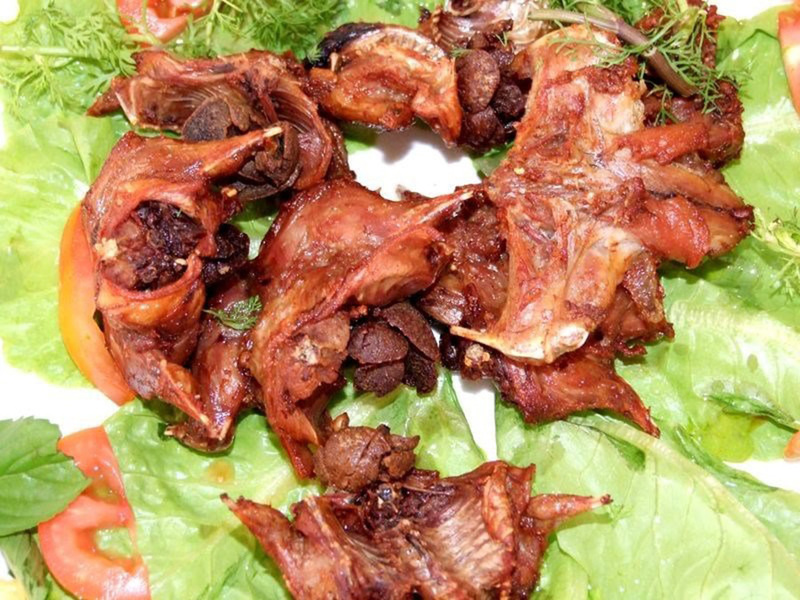 Ba Khia can be cooked in many ways such as roasted with tamarind, steamed with beer, grilled, boiled, fermented, mixed with salad, and made into soup. With all the information above, your trip to Ca Mau will be a memorable one. Keep reading articles on our blog to know about other beautiful provinces in the Mekong Delta. Your Guide to the Mekong Delta: What to do, see & eat – Itinerary included!